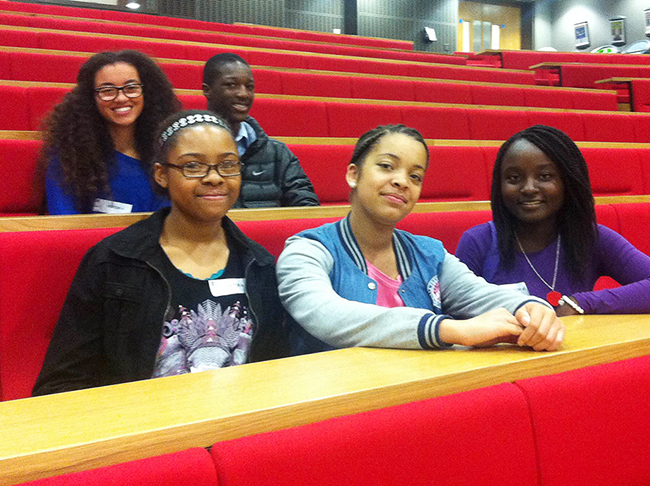 On Saturday 19 October, Year 11 students Isobel Adedeji, Kafui Aheto, Alisha Gayle, Savannah Mullings- Johnson and Katelyn Isliker attended the London School of Economics Black Achievement Conference. They were accompanied by their parents and Mr Das, Head of Year 11. The LSE Black Achievement Conference is an annual, one-day event, aimed at helping high achieving African-Caribbean students and their families plan for their future by providing a taste of higher education. The students took part in motivational sessions and student life workshops led by current LSE students, while their parents attended sessions on supporting their child’s education. 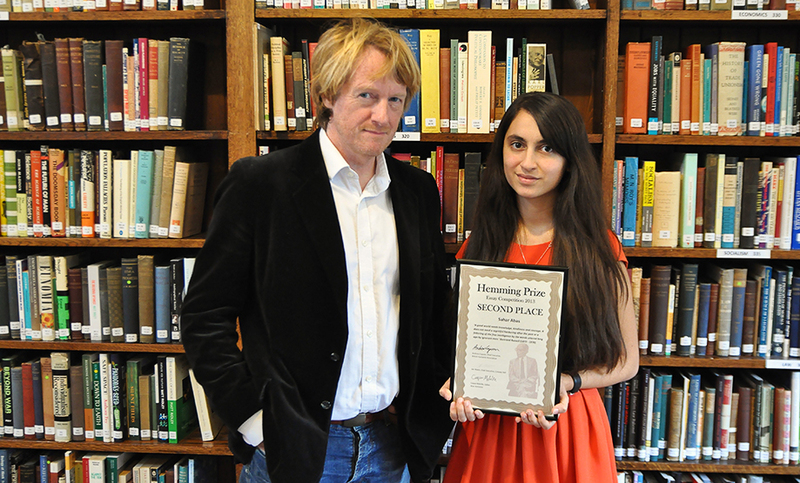 Sahar was presented with her award by Dr Stephen Law, a British philosopher and scholar of Heythrop College, University of London, during a ceremony at Conway Hall. She also received books and other prizes from the British Humanist Association. On Monday 30th September, Kingsbury High School hosted one of its periodic enrichment days or ‘Excel Days’. As part of this ‘Excel Day’, Kingsbury High’s A level Science students engaged with a number of professionals who have either taken up, or are on the path to take up careers, in the field of science. Presentations, demonstrations and advice were given throughout the day by scientists and post-graduates, many of whom were former Kingsbury High students. Parus Pindoria, a Graduate Optometrist, who left Kingsbury High in 2009 and graduated from City University, now works at Specsavers opticians in Wembley. Parus showed students how to use an ophthalmoscope to examine retinas and check eye health. He said “I think it’s a great idea to have these career talks to give the students an idea of the qualifications they could attain at university which perhaps they may not have realised were available.